The past decade has definitely seen more of the phrase “cruelty-free” than most of all the preceding years put together. It has now permeated not just the fashion industry, but manufacturing, product testing, and development as well, with more and more skin care brands identifying with the movement. This all leaves a lot of people wondering “What does cruelty-free mean, and why do we hear more and more of it every day? More importantly, what does that mean for me?” If you are also curious, you have come to the right place. Keep reading to have all your questions answered. “Cruelty free,” a term coined and most commonly used in relation to cosmetics and commercial products, refers to a manufacturing process that is devoid of cruelty of any kind to animals. Usually, when organizations like skin care brands develop new products, they need to test them to ensure that they are safe for human use; and the go-to test subjects are usually animals. This is mainly because animals are considered close enough to humans to indicate any side effects, but not too close for it to be considered an unethical practice. Unfortunately, the tests usually harm the animals in many ways; which led to the cruelty-free movement that insists that products no longer be tested on animals. According to peta.org, as many as 100 million animals die, or are permanently disabled, due to product testing and development. The cruelty-free conditions demanded of manufacturers have several severe implications on both the environment, and on us the consumers. For one, only 65% of tests are actually effective in predicting human affiliated side-effects from animals. In other words, the tests are only right 6.5 times out of 10 times, which is a very low score considering the ecological impact it has. Apart from unreliability, it is noteworthy that the tests also paint an incomplete picture. For example, it would only indicate that the product is toxic, but not why, which is just as important. The cruelty-free approach by companies is also explained by new advancements technology: there are now new, far more effective methods for testing skin care products. Animal testing was initiated mainly due to the lack of a better alternative. But now that more sophisticated methods are available, animal testing may no longer be needed. Methods like cell and tissue cultures and computerized “structure-activity” relationship models have come to set the pace as they are not only more accurate, but can also be adapted to suit specific scenarios and conditions. Another reason is that when we consider the increased awareness that the subject of cruelty-free methods has enjoyed from individuals and organizations all over the world, we begin to get a sense that going cruelty-free is actually in the best interest of skin care manufacturers. 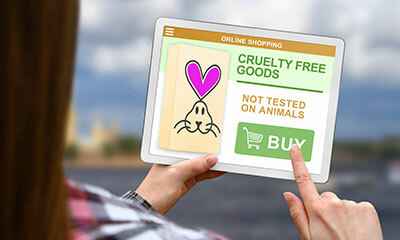 A simple Google search of the phrase “cruelty-free” will yield suggestions such as “what brands test on animals” and “what makeup brands are cruelty free”. 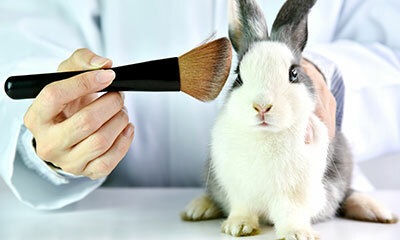 Also, several organizations like PETA, Choose Cruelty Free, Coalition for Consumer Information on Cosmetics, and British Union for the Abolition of Vivisection have published lists of cruelty-free make-up manufacturers and have implored their followers to boycott non cruelty-free compliant brands. All this adds up to spell dire consequences on the image and profits of companies who happen to be on the boycott list. The more people join the movement and agree to boycott non-compliant brands, the more their brand image and bottom line suffers. Considering what we know about companies and their propensity to protect their image and profits, perhaps this is the most significant reason why brands are becoming more and more cruelty-free. All of this begs the question: “If there are such obvious reasons for choosing the cruelty-free route, why do some companies still test animals?” Several reasons could be attributed to why manufacturers haven’t yet made the switch. High costs of creation and use, as well as resistance to changing the status quo may be on top of the list. However, limitations or not, cruelty-free skin brands exist and they are growing in number, pushing other brands to do the same, and making the future a little bit brighter for animals everywhere.